Glass Mosaic Canada is your source for mosaic supplies, as well as a school of Mosaic & Stained Glass located in Etobicoke, Ontario, in the west end of Toronto. We are the official North American distributor of Perdomo hand-made Mexican Smalti. We carry a wide variety of mosaic tiles, including vitreous glass (both 20x20mm and 10x10mm mini), Opus Romano 12x12mm, porcelain ceramic 5x5mm, as well as Marble and Mirror tiles. 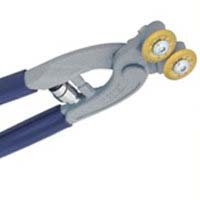 We also offer other tools and supplies, such as Nippers, adhesive, grout, Do It Yourself (DIY) kits, Montolit nippers and Wedi board. Glass Mosaic Canada is more than happy to work with wholesalers, retailers, artists, architects, designers, educators and curators to provide all of your Mosaic and Stained Glass needs. 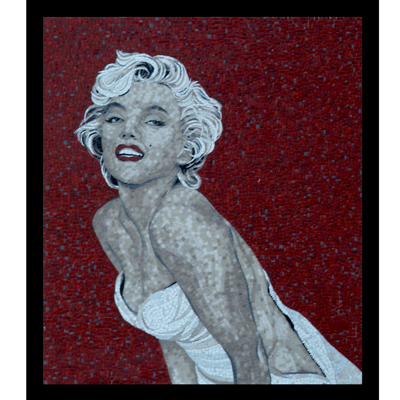 We specialize in creating art using mosaics and stained glass for windows, doors, backsplashes for kitchens or bathrooms, public murals, schools, tabletops, church icons or windows, mirrors, and fireplace surrounds. Our Mosaic and Stained Glass courses for children and adults are held in our studio in Toronto, Ontario, located on The Queensway in Etobicoke. We teach the traditional Roman technique of making mosaic, one of the most ancient forms of art known to man. Join us to discover that learning can be fun and therapeutic, great for time and stress management. Come relax with others, or if you prefer, strengthen the family bond on one of our Family Workshop days! We look forward to seeing you! 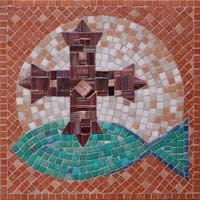 If you have any questions about mosaic or stained glass, please do not hesitate to Contact Us.